Buying a new floor is a major investment, and not anything like buying clothing, for example. When you buy clothing, you look at four basic things: style, color, brand, and price. These are the obvious things to look at. But you still have to try them on to see if they fit. That’s why the first question a salesperson purposely asks is “what’s your size?” If you make a mistake with your clothing, you can return it and try again. With flooring, no matter how beautiful or affordable a brand may be, if it does not “fit” or does not perform well, it may have to be removed or replaced, and that can be painful and very expensive. Below is a list of critical questions that will help you find a green floor that fits your needs. By answering these questions you’ll avoid the costs and headaches associated with making the wrong choice. The first questions address the subfloor. What’s the subfloor made of? What's the moisture content of the subfloor? Let’s say you have a concrete subfloor in your basement. Concrete tends to absorb moisture from the ground, and may become damp due to condensation during humid months. As a general rule, it’s best to avoid solid hardwood flooring over a concrete subfloor, because it does not handle excessive moisture very well. It’s better to favor floating (engineered) floors because they are more stable and designed to handle expansion and contraction better.There are always exceptions and workarounds, but understanding how much moisture is in your subfloor will help you determine what type of flooring is suitable. If you don’t know how much moisture is inside your concrete -- and few people do -- you’ll need to use a moisture meter or calcium chloride test to find out. Either of these will scientifically and objectively tell you what you need to know about the moisture content. 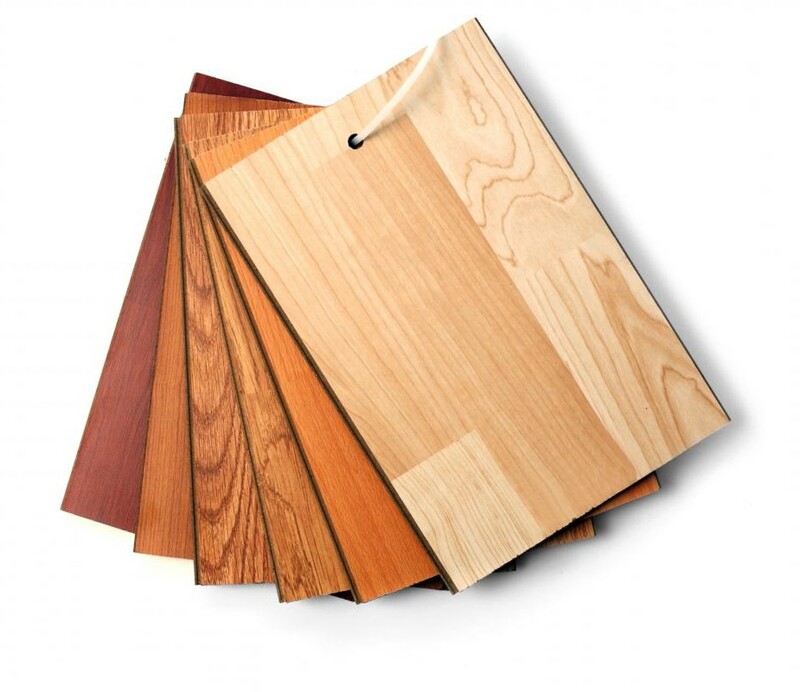 All flooring manufacturers of hardwood, bamboo, cork, linoleum, and tile have set moisture limits that they will accept and beyond which they will not accept. This information is critical to know before you begin your search for flooring. Is the subfloor relatively flat? Here’s another example: if you live in an older home, you know they rarely have flat or level subfloors. That’s usually due to settling, sloppy construction, or multiple layers of old flooring. If you want to use a solid floor (made of hardwood, bamboo or ceramic tile), it requires a perfectly flat subfloor. It may require patching, sanding or structural changes, all of which require professional help and can be expensive. Determining the degree of flatness requires a 6-8’ long straight edge ideally made of metal (as most wooden pieces are not perfectly straight). Simply lay the straight edge on the floor and observe the dips or bumps underneath it. If either dip or bump is minor (less than 3/16”), a floating engineered floor (made of hardwood, bamboo, cork, linoleum, etc.) may be used because they float over most imperfections with the help of an underlayment (usually 1/8” thick). If, on the other hand, the dip or bump is greater than 3/16”, it will need to be filled or sanded down before a floating floor can be used. Is the subfloor relatively clean? Almost all types of flooring (hardwood, bamboo, cork, linoleum, vinyl, etc.) can be glued down once the manufacturer’s requirements for gluing are painstakingly followed. If, however, your subfloor is oily, dirty, has a high pH or has gypsum content, it may not accept glue easily and will require serious cleaning and/or sealing before a floor can be glued down. There can be hidden expenses required to tackle these issues, especially if the old adhesive has asbestos in it. New concrete has very high pH and needs to be reduced to neutral before sealing or using adhesives. Gypsum-based subfloors, such as Gypcrete, are naturally resistant to adhesives and need to be primed. This may be a good reason to use a floating engineered floor which, in most cases, doesn’t require perfectly clean subfloors because it floats over the top without adhesive. Next are questions for you and your family. What type of foot traffic do you expect? Think about who will be using the floor, what part of the house it will be installed in, and what type of traffic you expect from dirty shoes, paws, skateboards, etc. For example: if you’re replacing the floor of an entryway where all manner of dirt, sand, or snow is tracked in, a moisture- and abrasion-resistant floor like recycled tile or strand-woven bamboo makes sense. A softer floor, like cork or linoleum, does not. If you need a new floor for a child’s bedroom, something soft, warm, and quiet like cork or wool carpeting might be needed. If it’s for a rec room in an attic or basement where kids are skateboarding and playing music, something tough, easy to clean, and sound-resistant, like Marmoleum or cork, might be used. As you can see, some options make better sense in some areas than others. How safe is the flooring we're considering, and is it certified by a third-party independent agency? 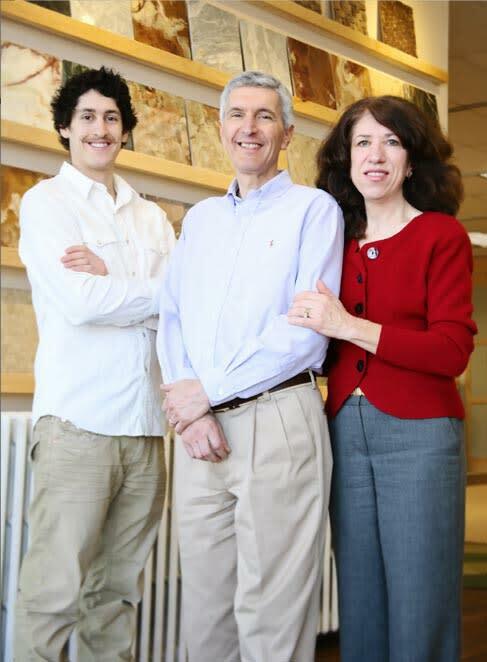 Over the past twenty years, Green Building Supply (the company I co-own) has taken calls from hundreds of customers who have experienced negative health effects from flooring products that contain low VOCs and green labels. 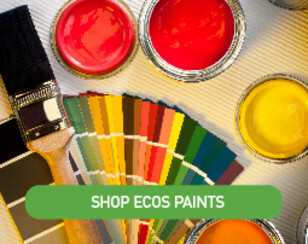 Manufacturers who are trying to go green sometimes “greenwash” their products by making claims that are either exaggerated or cannot be backed up by third-party certifications. For this reason, it’s very important to personally test products BEFORE purchasing to be sure you and your family can tolerate them. There are several methods for testing that you can perform yourself. It’s important to note that samples that may have been sitting on a shelf for several months or years have had adequate time to offgas. You may need a new one. A simple test of emissions used by many of our customers is to put a new sample into a sealed jar and then place it in the sun for several hours. When you open the lid, you should be able to smell emissions from the adhesives or finishes and then determine if they are acceptable or not. How will it be installed, and by whom? Some types of flooring can be nailed, glued, or floated, while others can only be nailed or glued down to a subfloor. The nail-down or glue-down floors are generally installed by professionals, because there is usually some floor prep required (as described above), and special tools and experience are required. Nail- and glue-down floors include most solid hardwood, bamboo or engineered floors. However, if your subfloor is new and not too bumpy, dirty, or wet, a floating floor may be the answer. Floating floors can be made of solid or engineered wood, bamboo, cork, or linoleum. They usually require an underlayment and a moisture barrier, and in some cases these are built into the bottom. If you live in an apartment, there usually are rules about what type of flooring and underlayment should be used. Check with your building manager. If you have a radiant-heated subfloor, floating floors are ideal. There are some companies that specialize in these types of floors. If you are a do-it-yourself type person, floating floors may be a good choice. You will need some basic tools and woodworking skills, but generally they will save you money by not having to spend as much on subfloor prep and easily installing the flooring without any help. This, of course, assumes your subfloors don’t require much attention. If they do, we recommend using a professional to do the prep work, at least. The rest is fairly easy. Choose the most reliable contractor. Don’t pick the best price quote and jump right in. If contractor A is quoting you $1,500 to repair your subfloor, but contractor B is only quoting $500, don’t assume contractor A is ripping you off. Contractor B may have no idea what he’s getting himself into and submit a quote that is far too low to get the job done right. Unfortunately, if he cuts too many corners in preparing your subfloor, it could result in some real problems in the future. Check references, visit their previous projects if possible, and make sure everything they are hired to do is discussed and agreed to in writing ahead of time. Now come questions about sustainability. How is it maintained and repaired? The Janka scale is the industry standard for measuring the hardness of wood. Exotic hardwoods from Brazil top the Janka performance list, with strand-woven bamboo close behind. That hard oak at your local flooring store is 150% less durable than the strand-woven bamboo you found online. Those numbers make a difference! Cork and linoleum are not on the list because they are not hardwoods, but they are durable for other reasons, namely resilience. It is well known that a tree that bends in a big wind lasts longer than one that is stiff and breaks. The same is true of floors like cork and linoleum, both of which are softer than hardwoods, but have a natural resilient surface that bounces back. Both will last 40 years or more if properly maintained, which is why both are used extensively in hospitals, schools and commercial properties as well as residences. Another important feature of maintenance is reparability. Both cork and linoleum can be easily repaired with wood putty if damaged. They can also be resurfaced easily with natural oils and waxes as a preventative measure that makes cleaning easier. 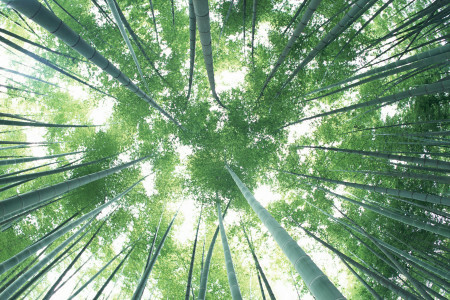 This is not true for hardwoods and bamboo because they are usually pre-finished with many layers of polyurethane and aluminum oxides, which create a tough plastic outer wear layer. While this provides excellent resistance to abrasion, it requires complete resurfacing should scratches or dents appear. Natural finishes, on the other hand, can be spot-repaired and therefore are easier and less expensive to resurface. Remember, manufacturer’s warranties only cover defects in structural integrity or wear layers due to improper manufacturing. They don’t cover normal wear and tear or damages resulting from your pet running through the hall, excessive moisture, skateboards or furniture dragged over the surface. Therefore, you need to be sure to choose a floor that can be cleaned and repaired easily to extend its useful life and protect your investment. Are there any toxic chemicals used in manufacturing? Does the manufacturer consider the social, environmental, and economic impact of the harvesting, manufacturing and distribution of its products, as well as how it will be returned to the earth? Can the product be recycled after its useful life? How large is the carbon footprint required to source raw materials, manufacturer, and distribute the product? How does the product affect indoor air quality when installed? Is the product certified by a third-party independent agency? Is there a chain of custody to insure that what you are buying is really what the manufacturer claims it to be? That new green floor you found may look awesome and may be on sale, but few manufacturers will tell you if the factory workers live in abject poverty or whether there are proprietary chemicals used in the product that are not fully disclosed on an MSDS. You have to know your sources and that takes time, patience and persistence in discovering the truth about a product. Most people don’t have the time to do this type of serious research. 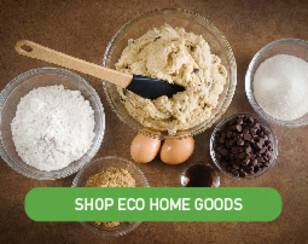 For the past twenty years, Green Building Supply has researched and personally tested almost all of the products we sell in order to confirm that they perform as advertised and are safe to the end user. 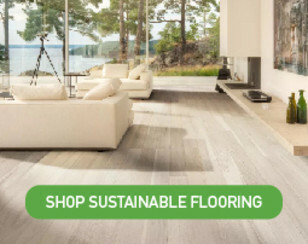 How to Buy a Green Floor: 7 Common Mistakes and How to Avoid Them">How to Buy a Green Floor: 7 Common Mistakes and How to Avoid ThemThis 12-page document provides many practical tips and lessons learned by our customers over the past 20 years. Most wish they could have read this before they purchased their first green floor. IAQ and Your Health: A Deeper Look at VOCs and Formaldehyde EmissionsThis paper goes deep into the history and chemistry of toxic chemicals. Some very useful information about MSDS sheets and government regulations is also explored in depth.